The effects of substance abuse or addiction are not limited to the person who is using. Everyone associated with a substance abuser – including neighbors, friends and co-workers – can be impacted. But, by far, it is family members who share the greatest burden when substance abuse or addiction is part of the daily life experience. According to the Substance Abuse and Mental Health Services Association, in a report on the impact of substance abuse on families (Substance Abuse Treatment and Family Therapy; Treatment Improvement Protocol (TIP) Series, No. 39; 2004), there are recognizable patterns of interaction likely to be present in families where parents or children abuse alcohol or illicit drugs. Communication among family members often focuses on the negative, with complaints, criticism, and other expressions of displeasure typical. The overall mood of the household is likely to be downbeat, with positive behavior rarely recognized or encouraged. Creating crisis situations may become the most effective way to get attention, and this negativity often reinforces the substance abuse. Rule setting is often erratic and rule enforcement inconsistent, leading to a compromised family structure. Children become confused because they cannot figure out the boundaries of right and wrong. So they may behave badly in the hope of getting their parents to set clearly defined boundaries. Without such limits, children are unable to predict parental responses and therefore adjust their behavior accordingly. Parents are often in denial about their own and/or their children’s substance abuse problems. Children or parents who resent their emotionally deprived home situation, and are afraid or reluctant to express their feelings, may use drug abuse as one way to manage their repressed feelings. Either a parent or child may use drugs or alcohol to cope with intolerable thoughts or feelings, such as severe anxiety or depression. If parental expectations are unrealistically high, children may try to excuse themselves from future expectations by embracing the role of “junkie”, so that less is expected of them. Alternatively, they may become overachievers, yet feel that no matter what they do it, is never good enough. On the other hand, if parental expectations are too low, and children are told throughout their childhood that they will likely fail, they tend to conform their behavior to their parents’ predictions–unless other adults in their lives step in to provide them with healthy, positive, and supportive messages. If one or more family members are substance dependent and others are not, the non-substance-dependent member may become codependent with the substance user(s). They may try to control the behavior of the substance user because they feel that the user is incapable of taking care of themselves. They may become hypervigilant, excessively compliant (to avoid conflict, rejection or anger) and deny their own feelings and needs in order to keep the peace. In all of these cases, a restructuring of the entire family system is called for. When children are part of a substance abusing family situation, the risks and concerns are greatly increased. Similar to maltreatment victims, who believe that their abuse is their fault, children of parents with substance abuse disorders often feel guilty and responsible for a parent’s substance use problem. 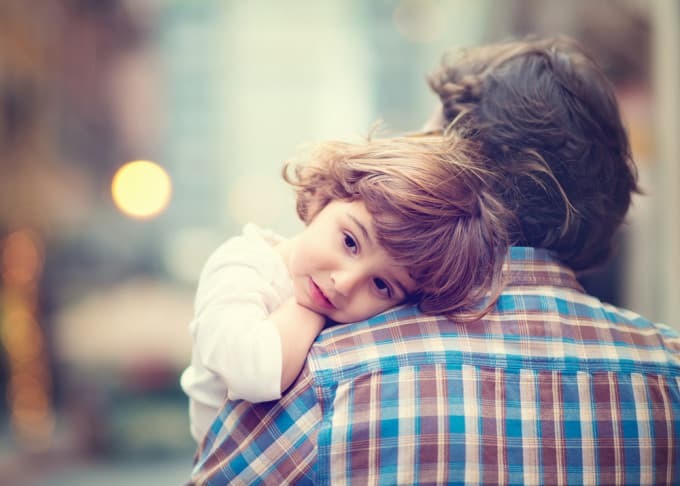 If children are living in a blended family where substance abuse by a step-parent is an issue, the substance abuse may undermine the step-parent’s ability to establish themselves as an authority figure within the family. -Rita Milios Children whose parents abuse illicit drugs live with the knowledge that their parents’ actions are illegal; they may even be forced to engage in illegal activity themselves on their parents’ behalf. If children are living in a blended family where substance abuse by a step-parent is an issue, the substance abuse may undermine the step-parent’s ability to establish themselves as an authority figure within the family. This can lead to difficulty in the step-parent forming bonds with their step-children. It may also impair the family’s ability to address problems and sensitive issues. When there is an adolescent in the family who is using alcohol or drugs, siblings in the family may find their needs and concerns ignored or minimized while their parents react to constant crises involving the substance-using adolescent. The neglected siblings and peers may have to look after themselves in ways that are not age‐appropriate, or they may resort to acting out in order to get attention. Non-using family members can help the affected member in ways that do not involve co-dependency or compromising their own needs or values. Offer support: Tell your family member that you are there for them no matter what. Avoid being judgmental. Encourage the family member to open up: Let the family member know you are truly interested in what is going on in his or her life. Be persistent, but gentle: The substance user may not want to immediately share what he or she is experiencing; but don’t feel discouraged. Keep trying because eventually they may share what they are going through. Don’t lecture; just listen: The family member may already be in a fragile state. Therefore, criticizing them may discourage communication. Listen to everything they have to say before you ask questions. Don’t be afraid to address the issue: You may feel unsure or hesitant about whether the family member really has an issue. However, even if you are unsure, you should address the changes you have seen in the person. Be honest: Let the family member know the signs you noticed, and why those signs worry you. Don’t belittle their feelings: Remember that the family member is sharing deeply personal feelings with you. Honor this. Speak to the family member with dignity and respect: Remember that everyone experiences hardships. Don’t treat a person poorly because of an issue they are facing. Remain calm: You may feel shocked, angered, sad or scared by what the family member will share with you. Remember to remain calm. Staying calm will help you and the family member; it will encourage them to keep communicating with you. Encourage professional help: Let the family member know how they can benefit from professional help. Assist in finding help for them if they ask you to. Seek support for yourself: Knowing that a family member is in crisis can be frightening and stressful. Consider asking for help from a counselor or other helping professional. For your own emotional needs.